Flat top ring with offset squares. 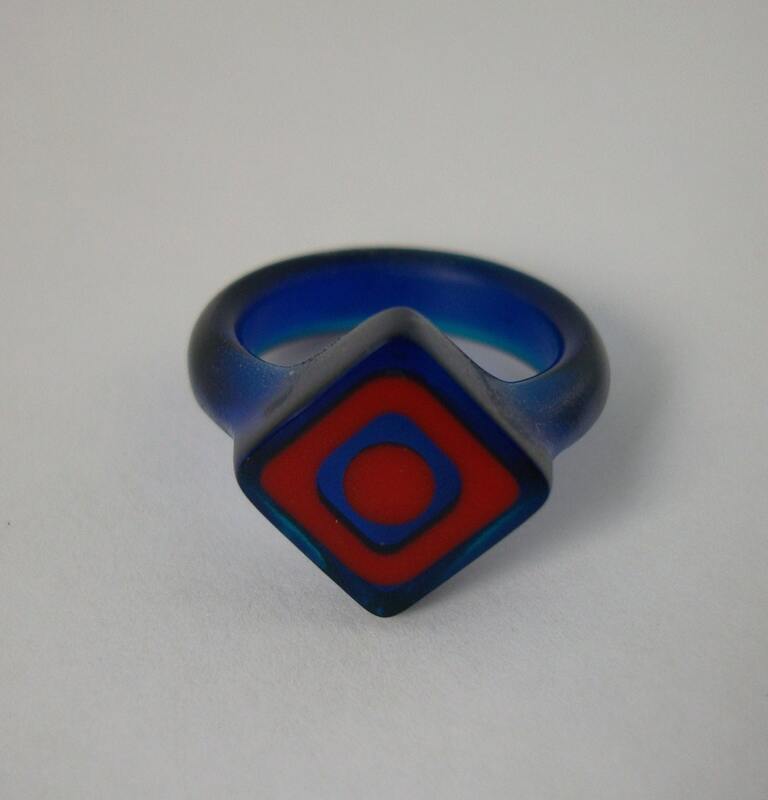 The base is cast in cobalt blue with an opaque red back fill. This ring is cast in Eco Resin which is a water clear epoxy resin.